Many auto repair shops in Abilene TX try to match our level of service but no one can. Procter Automotive is dedicated to customer service and satisfaction, offering quick service, fair pricing, and experienced technicians. We are the best auto repair shop in the area, able to service all types of vehicles, both domestic and imported. When you’ve got car trouble, don’t waste any time googling auto repair near me. No matter what your car trouble is, Procter Automotive can fix it! We want to be your go-to garage, from routine maintenance work to extensive repairs. Our ASE certified technicians are experienced in all area of car repair, including work on transmissions, engines, air conditioning, and brakes. Bumper to bumper, we are the best auto repair shop you’ll ever bring your car or truck to. Abilene TX auto repair shops may be a dime a dozen, but only Procter Automotive has been approved by AAA. When you rely on your car every day, you want a place to take it that you can depend on. We give all our customer’s upfront estimates, honest and affordable prices, and a commitment to your care. We are always striving to do better for you, so if you ever have any suggestions or feedback, we’d love to hear it! If your car needs a full service auto repair, give us a call today! We’ll show you what great automotive care is all about. 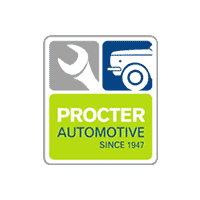 Procter Automotive has been serving Abilene TX for nearly 70 years, surpassing most auto repair shops. We know what car repair is all about, and can’t wait to show you how we take care of you and your vehicle.